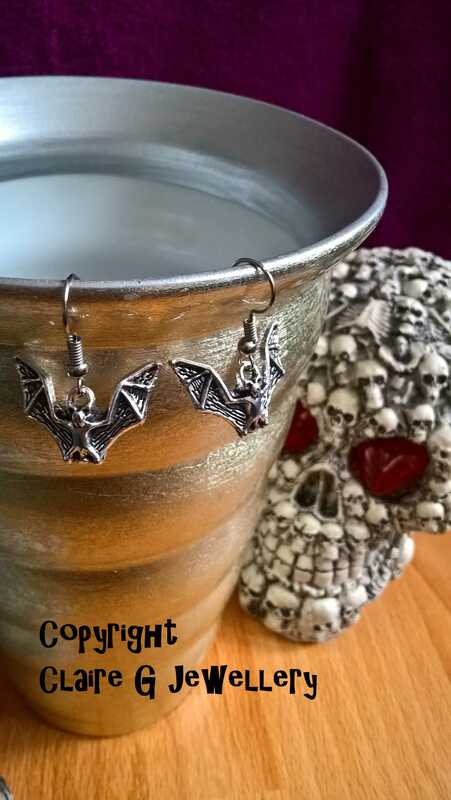 <\/u><\/b>These handmade earrings are made from a silver coloured charm of a flying bat, with it's wings sprawled out. 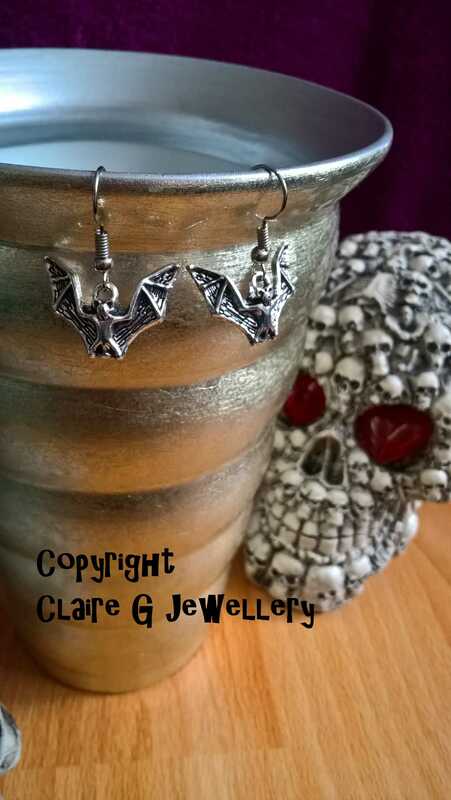 They are perfect for the Halloween season, for fancy dress, something different to wear on a night out or to wear throughout the year because you love bats\/the design. 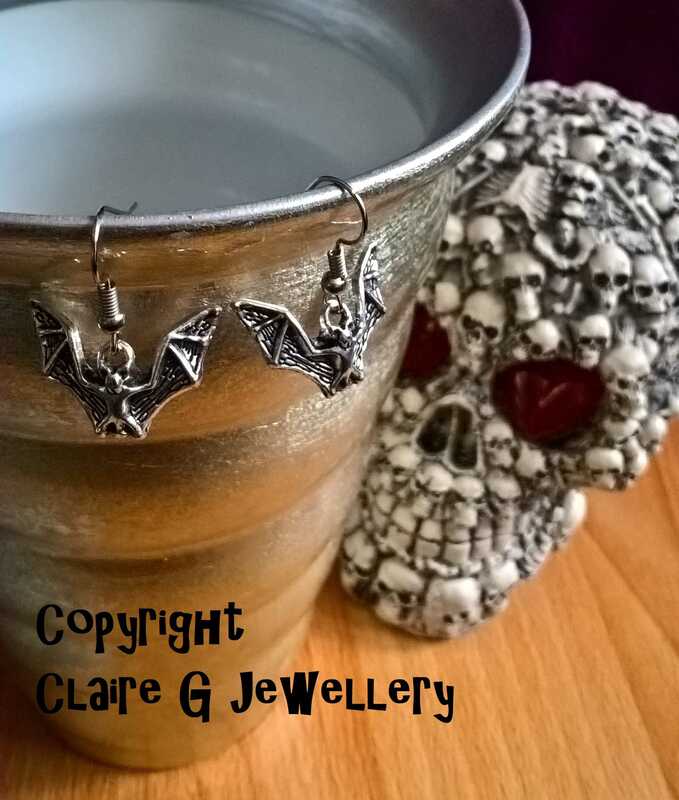 These handmade earrings are made from a silver coloured charm of a flying bat, with it's wings sprawled out. 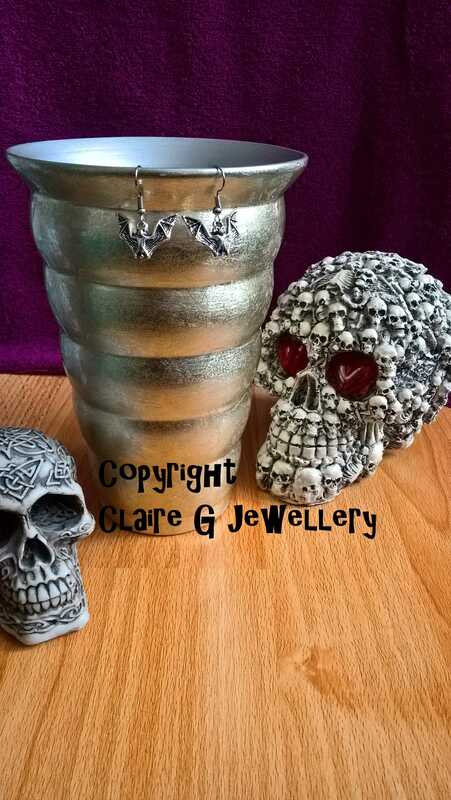 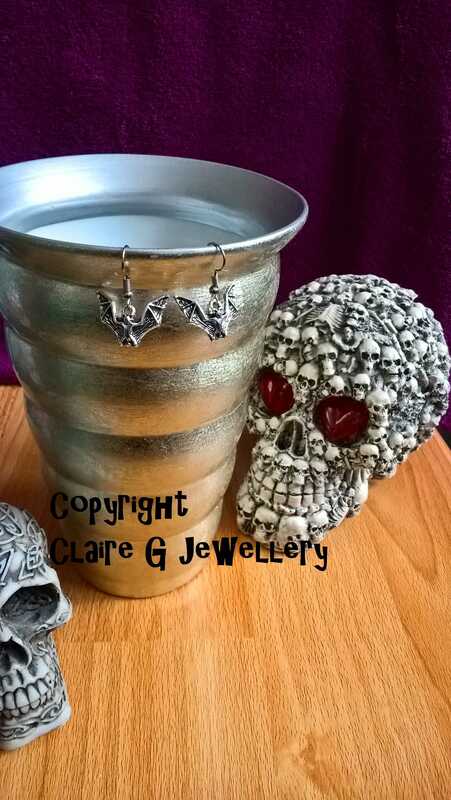 They are perfect for the Halloween season, for fancy dress, something different to wear on a night out or to wear throughout the year because you love bats/the design.